The response to the Ford GT has been unprecedented, with initial demand outstripping supply by more than six-to-one. As a result, Ford is increasing the GT production to make ownership dreams a reality for 350 more Supercar fans. After a slow start, that we wrote about earlier this month, the production is in full swing. Ford Motor Company is increasing Ford GT production to 1,350 vehicles after more than 6,500 applicants raced to sign up for the original 1,000 cars allotted in 2016 – even before the car recaptured LeMans glory later that year. Ford is re-opening the application window to customers hoping to join the exclusive group of Ford GT owners starting Nov. 8 for select global markets. Prospective owners will be able to submit their applications for 30 days at FordGT.com. 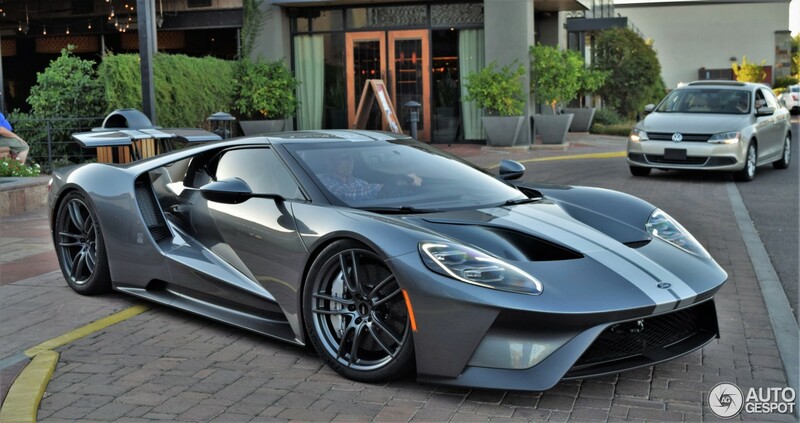 Successful applicants will work with the Ford GT Concierge Service for a personalized purchase experience of cars produced in the 2020 to 2022 calendar years.Production of the Ford GT – powered by a twin-turbocharged, 3.5-liter EcoBoost V6 engine and featuring a carbon fiber architecture, active aerodynamics and 216 mph top speed – began in December 2016.